Once you decided to sell your property BHP’s team will assist you with personalized service during all stages of selling your property. This serious step will have our full support with our professional attention to all the included legal and other issues. Once you decide that you want to sell your property in Portugal, first of all settle all your civic taxes and burdens. You are also required to pay all utility arrears in full before the sale such as all domestic bills. We highly recommend the use of a licensed estate agent. You are likely to find a large number of potential buyers visiting our site every day. Professional and personal assistance, help and resources are of essence in the process of the sale of a property. A member of our team visits every property prior to listing it on our site, to ensure that the property matches our specifications and that your and our expectation fits in terms of pricing and sales presentation. We respect that each property is unique, so is every client. It is extremely important to us that our sales team knows each and every property we list in detail. 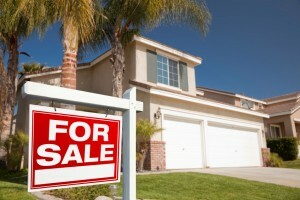 Successful marketing of your property starts with a valuation to determine the appropriate asking price. We aim to identify the best achievable price in the actual market segment of the property in the moment and to find the right buyer for you. We collaborate within a net of the best professionals in a wide range of services: local builders, architects, designers, if you need any renovation works. It is a very important factor to get your property ready for potential buyers. We can also arrange a professional photographer – high quality presentation being a key factor to target buyers. It’s also imperative to enlist the help of a property solicitor who can act legally on your behalf. At BHP we are happy to recommend professional lawyers with years of experience in the sale of Portuguese property. We promote our catalogue of properties to an International audience – our clients being mainly foreigners from all over the world. Your property will also be presented by our media partners, our newsletters, catalogues and videos. Our team responds extremely quickly to enquiries. BHP’s team consists of multi-lingual experts with local knowledge in the real estate market and will provide comprehensive information to achieve the best results in the shortest period of time. It is very important for us to find the “right” client for the “right” property.